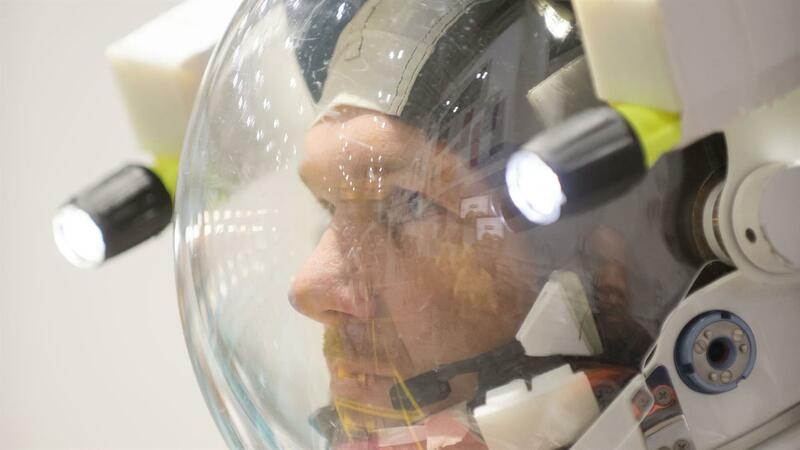 The German ESA astronaut Alexander Gerst in Houston training for his 'horizons' mission. FLUMIAS is prepared for use on the ISS. Mounted on a centrifuge rotor, this version will allow for the examination of numerous biomedical samples under various gravitational conditions. 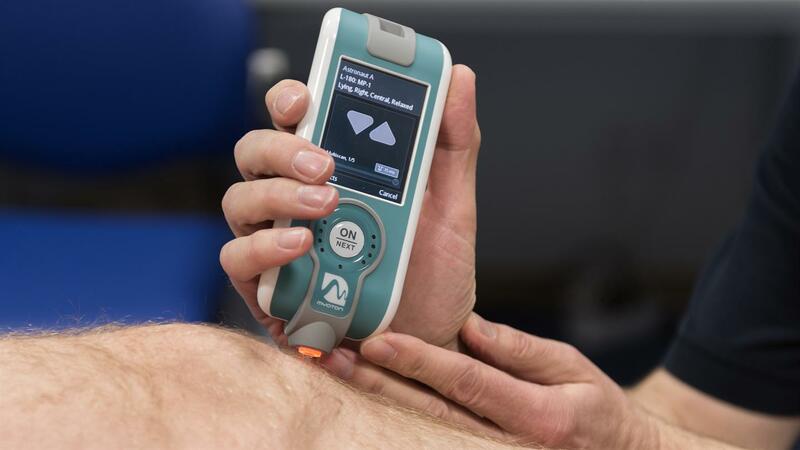 With MyotonPRO, changes in human resting muscle (tone, elasticity and rigidity) caused by lack of gravity are measured and evaluated for astronauts onboard the ISS. The technology has already been successfully applied in bed rest studies; moreover, the device has already proven to be suitable for taking measurements under microgravity during parabolic flights. Using miniaturised transmitters attached to animals, data on their migrations can be gathered and sent to the ISS. Registered in a database, this information will help to protect animals, to better understand the climate and the spread of disease, and to drive more sustainable agriculture. such as Bose-Einstein condensates (BEC). How can artificial intelligence (AI) help astronauts do their work in space, and what can be learned for its application on Earth? How do living cells behave in a microgravity environment? What does an extended period in space do to an astronaut's immune system? How can melting processes on the International Space Station (ISS) be used to improve industrial casting processes on Earth? What can be learned about climate change from studying animal migration patterns? 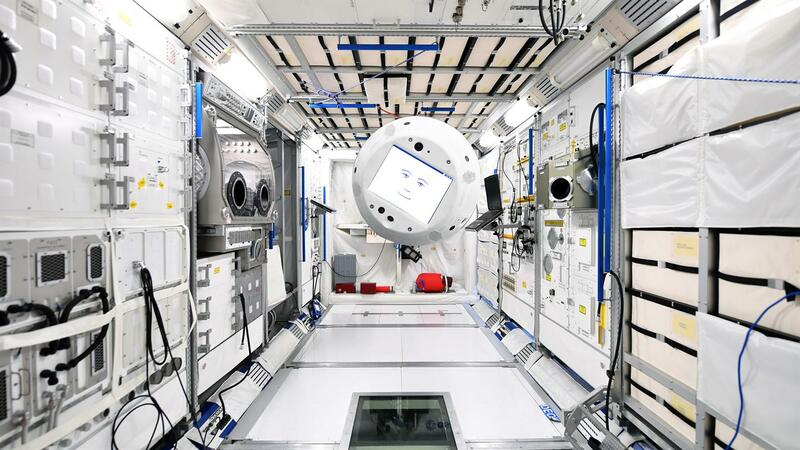 Forty-one German experiments, coordinated and controlled by the German Aerospace Center (Deutsches Zentrum für Luft- und Raumfahrt; DLR) will be conducted during Alexander Gerst's upcoming ISS mission: 'horizons – Knowledge for Tomorrow'. When Gerst, Germany's European Space Agency (ESA) astronaut, sets off for the ISS on 6 June 2018 to spend his second six months in a microgravity environment – probably until 12 December 2018 – he will once again be working on the largest international technology project of all time. Leading spacefaring nations – the United States, Russia, Japan, Europe and Canada – are collaborating in this scientific laboratory to develop solutions to global challenges faced by society, including health, the environment and climate change, as well as digitalisation, Industry 4.0, energy and future mobility. "Alexander Gerst's mission will strengthen Germany as a hub of science and innovation and will make the Federal Republic one of the most intensive users and largest beneficiaries of the scientific systems on board the International Space Station. Space and space research are crucial to our modern society, as they offer many solutions to crucial challenges. Space is in demand, be it in navigation – for instance the Galileo system – in digitalisation and Industry 4.0, in environmental monitoring, and to acquire a better understanding of climate change," emphasises Walther Pelzer, DLR Executive Board Member and Head of the DLR Space Administration in Bonn. The Space Administration manages the German contributions to the ISS and hence Gerst's 'horizons' mission. When Alexander Gerst conducts research on the ISS, science does not just take place in space, explains Volker Schmid, 'horizons' Mission Manager at the DLR Space Administration: “The experiments were designed on Earth. The hardware and software were developed and built here. Samples come from terrestrial laboratories, and many of them will return there for evaluation after the experiments on the ISS. In turn, the knowledge acquired through this research drives innovation on Earth – also in Germany." Around 1000 scientists, engineers and programme managers across Germany are working to ensure the success of the 'horizons' mission – at DLR, in German universities and research institutions, as well as in industry. Overall, during 'horizons', Gerst will work on 67 European experiments, 41 of which come from Germany. The ISS provides outstanding facilities to study human physiology, as well as the cells of human beings, animals and plants, in a microgravity environment. For example, the FLUMIAS microscope will enable the first direct visualisation, magnification and 3D modelling of living cells in microgravity. Myotones will break new ground by monitoring the fundamental biomechanical characteristics of skeletal muscles to analyse the changes brought about by the absence of gravity. The topics addressed by other German experiments include immune system and genetic responses to microgravity. "This research will help us acquire a better understanding of diseases like cancer, immunodeficiency, muscular atrophy and bone loss, to name just a few. The insights obtained in this way will enable the development of innovative medicines and therapies that improve life on Earth," explains Markus Braun, Head of Microgravity Research and Life Sciences at the DLR Space Administration. Environment and climate conditions can also be researched from the ISS. For instance, animals have a keen perception of climate changes and a 'sixth sense' for imminent natural disasters such as volcanic eruptions and earthquakes. 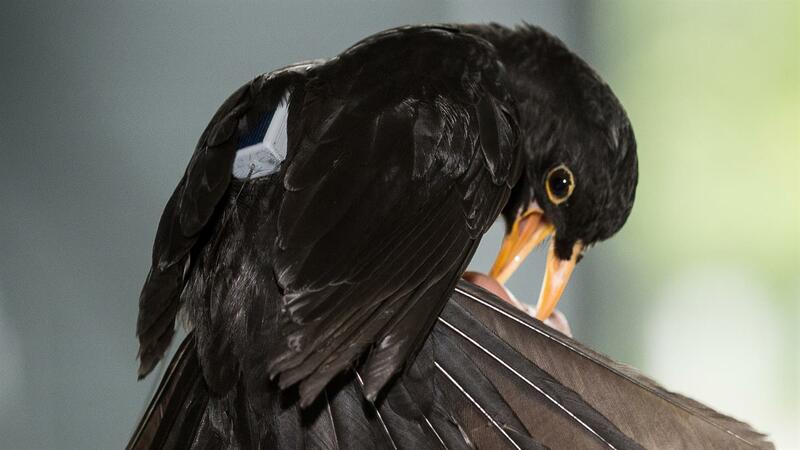 In the ICARUS project, tiny transmitters attached to small animals such as bats, or birds, transmit data on their migratory patterns to the ISS. Researchers can analyse this information, for example to draw conclusions about climate change and the global migration patterns of animals on Earth. Digitalisation means change. This is noticeable through the constant developments in everyday life – smartphones are becoming more 'intelligent' and connecting with household devices like refrigerators or washing machines in the Internet of Things. Voice assistants support people in their daily work. This kind of digital assistance system – developed by the DLR Space Administration, Airbus and IBM and named CIMON – will be used on the ISS. This seventh crewmember is a flying, smart astronaut assistant, equipped with artificial intelligence (AI) and will help the astronauts with their daily work. Robots are not just in operation on the ISS. During his mission, Alexander Gerst will issue instructions to an Earth-based humanoid robot at DLR in Oberpfaffenhofen, enabling it to solve tasks largely autonomously. Both of these projects are designed to drive innovation for applications in robotic industrial production, medicine, nursing and education. In addition, the German ESA astronaut will use the Soft Matter Dynamics/CompGran experiment to study the behaviour of granular materials on the ISS. The insights gained will be used to improve industrial processes and systems on Earth. He will also analyse the behaviour of plasma to advance technological progress in the production of semiconductors, modern propulsion systems, valves and shock absorbers. 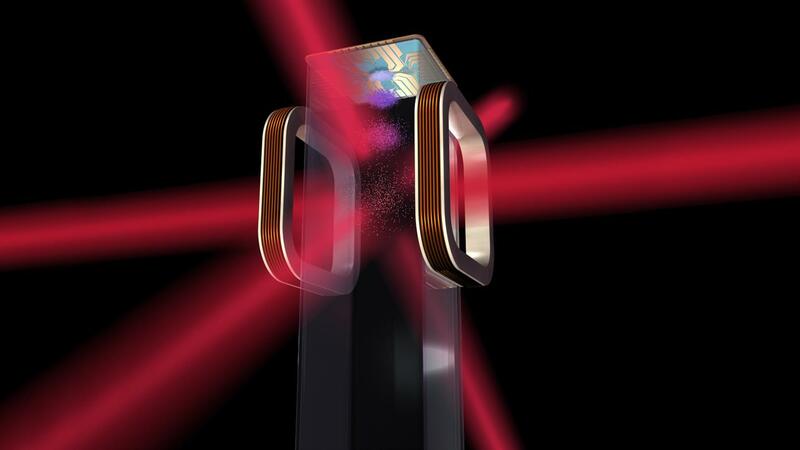 Melting tests in the electromagnetic levitator (EML) on the ISS are designed to improve industrial casting processes for high-tech materials on Earth. Among other things, this research will make aircraft and road vehicles lighter and therefore help to save fuel and energy – for tomorrow's clean mobility. Longer-term tests on ultra-cold atoms in a new, unique laboratory – the NASA 'Cold Atoms Lab' – will drive the development of state-of-the-art chip technology, miniaturised laser modules and high-precision clocks and sensors that will make satellite navigation even more accurate. The younger generation needs to be encouraged to get involved –without them there will be no future. The 'horizons' mission provides an ideal opportunity to inspire young people to take an interest in space and thus in science and high-tech professions in general. For this purpose, DLR has created an entire 'Education Package' for Alexander Gerst's mission. Among its contents is a Time Capsule that will be dispatched to the ISS. Teaching materials have been created in cooperation with prestigious partners such as the German Physical Society (Deutsche Physikalische Gesellschaft; DPG), the Klett MINT publishing house and 'Jugend forscht', a German youth science competition. There are also plans for a space show. Two competitions for young scientists have been initiated – 'Earth Guardians' and 'High-flyers'. Children and adolescents from 14 different schools and three DLR_School_Labs will also make radio contact with the ISS for a live question and answer session with Gerst. The DLR event for the 'horizons' launch, which will take place at 13:11 CEST on 6 June, starts at 12:10 and will be live streaming.